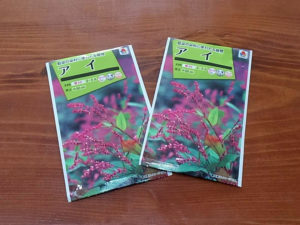 Sowing Japanese indigo seeds. And Woad? 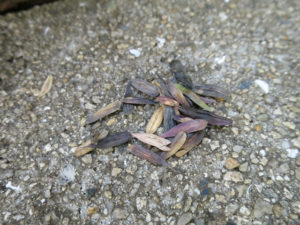 Spring-like weather continues in Osaka.Every year, I sow the seeds of Japanese indigo on the day of the vernal equinox. However, I am busy preparing for the opening of our shop this year and I can not do it. it’s not a big rule. しが、However, I can not calm myself if I can not do it. 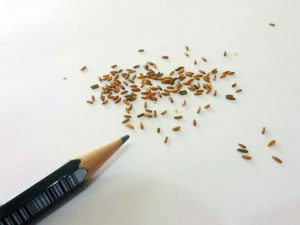 So I got up earlier than usual and decided to sow indigo seeds. ↓This is the seed of Japanese indigo. Every year, I buy online shop. ↓Sprinkle this species in a box of soil. I will plant it in the garden in May. 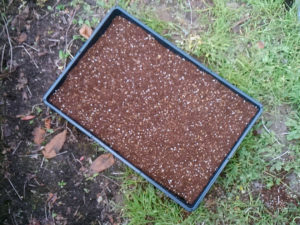 I planted another kind of plant seeds. That’s Woad. This is a plant from which blue dye can be taken. I wrote a blog about this plant just a year ago. But が、I could not germinate last year . I will try again！I bought seeds at an online shop, but I received something completely different from last year. Of course, I order “Woad” last year and this year too. And the package says “Woad”. Last year, I failed to sprout so I don’t know which one is the correct one. By the way, our shop is preparing to sell plant dyes in full scale soon. It will be a little further, but please look forward to it! 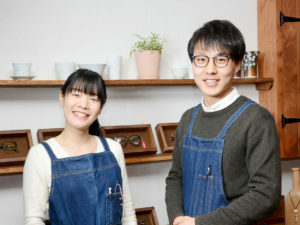 Previous Previous post: Our shop will open on March 30, 2019.